The modern day lifestyle does offer a slew of perks, among them include comfortable living at home. As such, a hot shower is always welcome, be it during the frigid and cold winter days, or after a particularly strenuous exercise session where hot water will be able to help provide some relief from aching muscles. Either way, a water heater can be considered to be an indispensable fixture in the modern home, making it more of a necessity than a luxury. Since water heaters play a very important role in your family’s life, all care and effort must be taken to ensure that quality and reliability are not compromised. With two different types of water heaters available in the market (a traditional tank-based model and a tankless one), it is of utmost importance that the water heater is properly installed. Water heaters form an important part of our lives, and there is no point compromising on style, quality or reliability. There are two types of water heaters – the traditional tank based water hear and the modern tankless water heater. The process of water heater installation and/or water heater repair is an extremely involved process that requires an expert to do the job, as it involves setting up water and gas lines to the new water heater. Many companies will overcharge for these services, because they are not ones that untrained people can generally do, but at Prime Plumbing Company, we understand the limitations of our customer’s budgets, and are willing to work to find the best solution for everyone. At Prime Plumbing Company in Fort Mill SC, we take our job very seriously, because we know how much our customer’s homes mean to us. 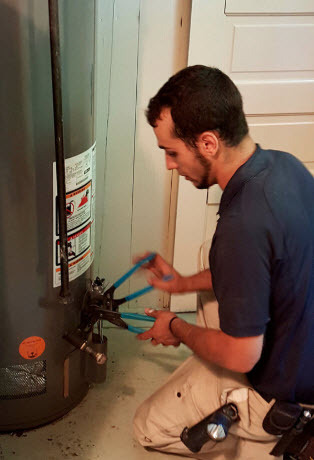 When it comes to a task like replacing or repairing a water heater, we understand that the customer’s comfort comes first, and that the service needs to be done in as timely and affordable of a manner as possible. 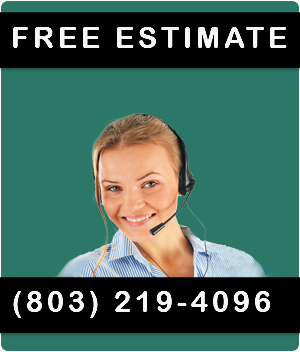 With our 24/7 emergency plumbing services, it is possible for our customers to be helped at all times of day and night. This just proves how dedicated we are to customer satisfaction. Prime Plumbing Company has long been a reliable plumbing company for those located in Fort Mill SC, with our premium water heater installation and repair service we put themselves a leg up above the competition, and we pride ourselves as the best Fort Mill plumber options for every job. We’re confident we can help. Our professional plumbers have the knowledge and experience to repair all types of water heaters. We are fully equipped to ensure your residential plumbing repair is completed efficiently.Our top-notch plumbing technicians can accurately diagnose and quickly fix any and all water heater problems. If you are looking for a competitively priced residential plumber to take care of your water heater installation and repair, make sure you get the best. Call us today at (803) 219-4096. No matter what the problem is, or when it occurs, call us for all of your plumbing emergencies and repairs.